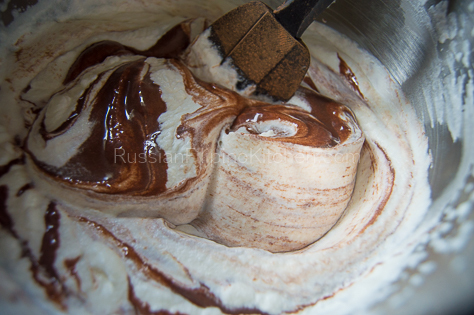 The idea of making ice cream at home appealed to me as it gives me the freedom to experiment with different flavors. Also, it gives me confidence that I’m making ice cream for my kids without the preservatives found in store-bought frozen treats. 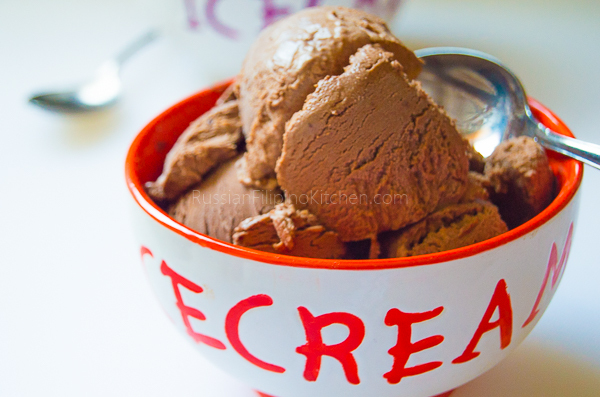 This is a super easy, delicious chocolate ice cream recipe that you can make without the need for an ice cream machine. 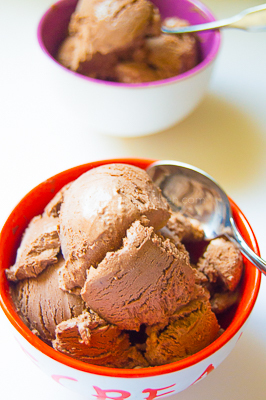 The resulting basic chocolate ice cream comes out soft and creamy but you can add chopped nuts, chocolate chips, dried fruits, or marshmallows to add another layer of texture and flavor. Enjoy! 1. 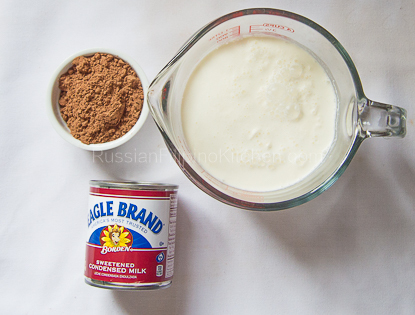 In a medium mixing bowl, empty one can of sweetened condensed milk. 2. Place a fine mesh strainer on top of mixing bowl. Add 1/2 cup to 3/4 cup of unsweetened cocoa powder and sift.I personally add 3/4 cup as it intensifies the color of the ice cream and we love that hint of bitterness from the chocolate. 3. 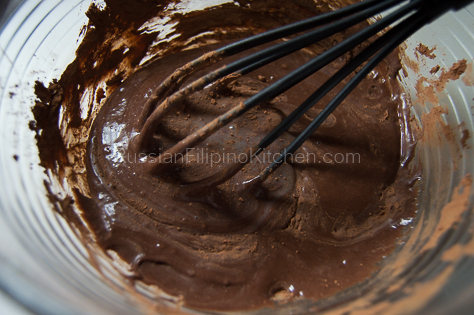 Use a whisk to dissolve the chocolate powder and mix both ingredients well. It should be thick like shown below. 4. 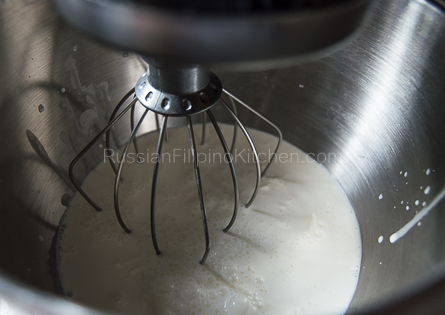 In a stand mixer, place whisk attachment. Pour 3 cups of heavy whipping cream into the mixer bowl. 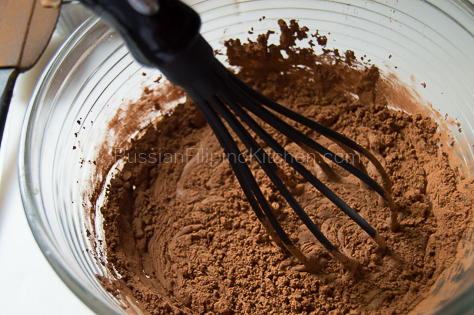 If you use a hand mixer, you’ll need a separate large mixing bowl. 5. Turn on your mixer on low at first, increasing the speed to medium then to high as the cream thickens, glossy and fluffy in appearance, and stiff peaks form. Do this in about 6-8 minutes. Caution: Do not overdo whisking or you’ll end up with curdled cream. 6. 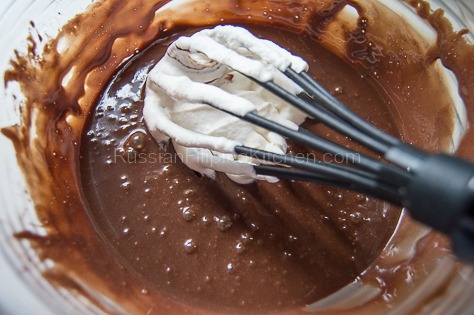 Scoop in a whiskful of the whipped cream and drop it onto the bowl of chocolate mixture. Stir gently to thin it out. 7. 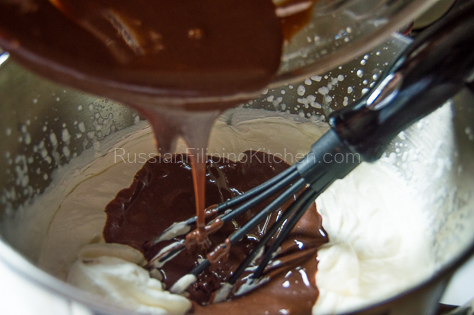 Transfer entire bowl of chocolate mixture into the bowl of whipped cream. 8. 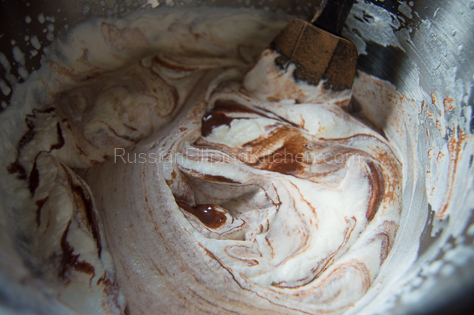 Use a spatula to gently combine the chocolate and whipped cream using the cut-and-fold method. 9. 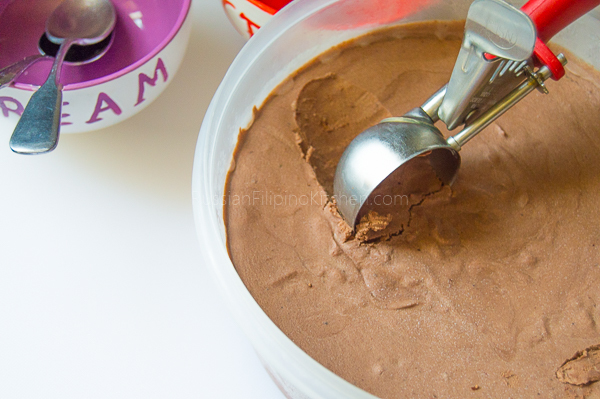 Transfer ice cream mixture into a freezer-safe container and cover. Place in freezer for 6-8 hours or overnight. 10. When ready to serve, remove ice cream from freezer and let it sit on the counter for a couple of minutes to thaw a little.Scoop out into individual ice cream dish and serve as is or with toppings. 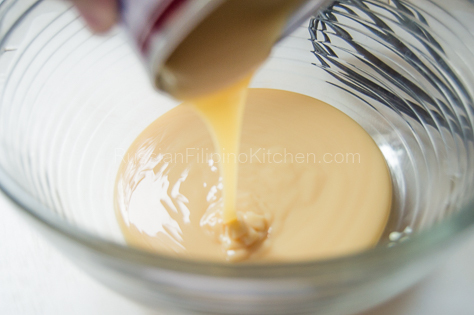 In a medium mixing bowl, empty one can of sweetened condensed milk. Place a fine mesh strainer on top of mixing bowl. 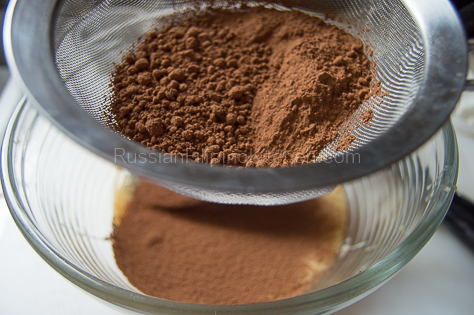 Add ½ cup to ¾ cup of unsweetened cocoa powder and sift.I personally add ¾ cup as it intensifies the color of the ice cream and we love that hint of bitterness from the chocolate. 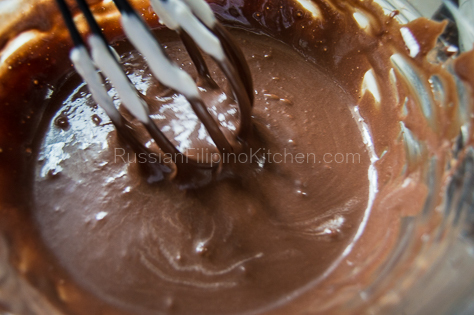 Use a whisk to dissolve the chocolate powder and mix both ingredients well. It should be thick like shown below. In a stand mixer, place whisk attachment. 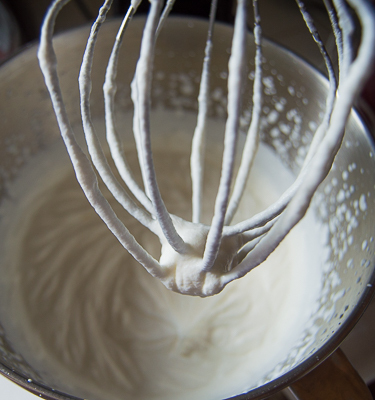 Pour 3 cups of heavy whipping cream into the mixer bowl. If you use a hand mixer, you'll need a separate large mixing bowl. 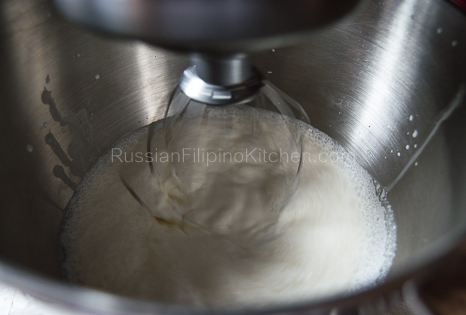 Turn on your mixer on low at first, increasing the speed to medium then to high as the cream thickens, glossy and fluffy in appearance, and stiff peaks form. Do this in about 6-8 minutes. Caution: Do not overdo whisking or you'll end up with curdled cream. 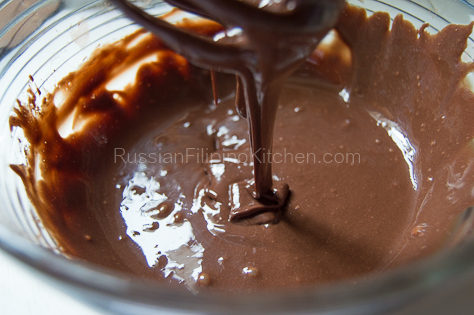 Scoop in a whiskful of the whipped cream and drop it onto the bowl of chocolate mixture. Stir gently to thin it out. 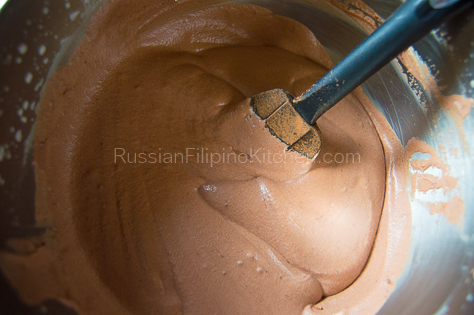 Transfer entire bowl of chocolate mixture into the bowl of whipped cream. 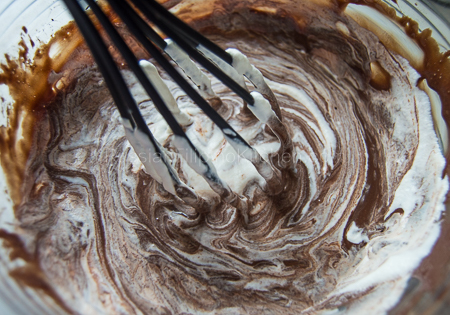 Use a spatula to gently combine the chocolate and whipped cream using the cut-and-fold method. 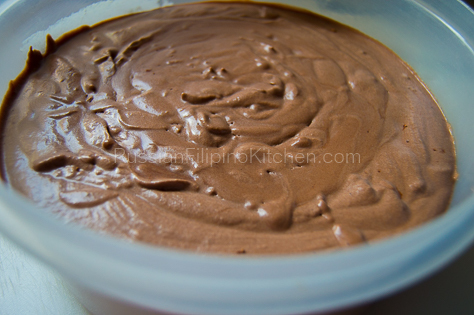 Transfer ice cream mixture into a freezer-safe container and cover. Place in freezer for 6-8 hours or overnight. When ready to serve, remove ice cream from freezer and let it sit on the counter for a couple of minutes to thaw a little.Scoop out into individual ice cream dish and serve as is or with toppings. Thanks for your sharing of this recipe Mia my daughter and I really loves it.